I love face masks in general. I think they come in handy and are quite beneficial in anyone's skin routine. I couldn't wait to try the nspa Skin Glow Mud mask and see what the product was like and what results i would get out of using this product. 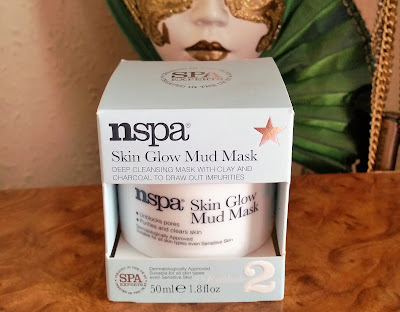 This 50ml pot comes packaged in the nspa's lovely packaging and has some in depth knowledge on the back to let you know what and how this mask will do for your skin. Also containing Cimicifyga Extract to help reduce pores and improve skin condition. 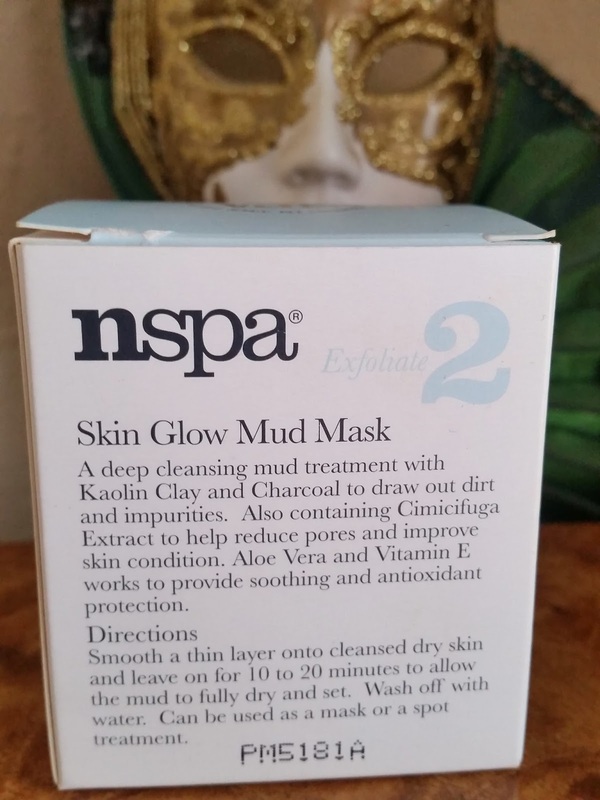 Smooth a thin layer onto cleansed dry skin and leave on for 10 to 20 minutes to allow the mud to fully dry and set. The skin glow mud mask comes in a cute white pot with an easily screw off lid. Once you screw the lid off your then presented with a protective lid that's keeping the mask safe from any spillage. 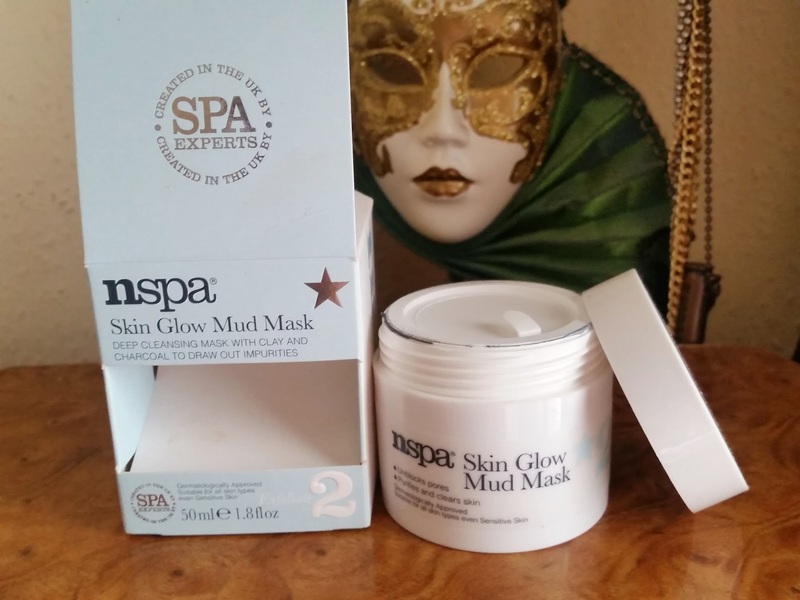 The mask itself has that luxury nspa scent to calm your senses and wake up your skin. 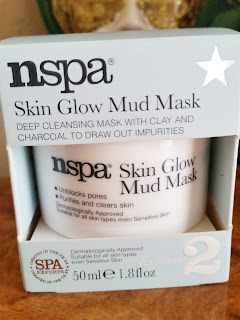 Also the colour of this mud mask is grey which would represent the charcoal and Kaolin Clay. This glides on and over skin like a dream and sets really quick to get down to business and clear those impurities. healthy skin or skin-care products, activated charcoal boasts beauty benefits for skin by drawing oil, dirt and other harmful substances from clogged pores due to its absorption powers. I left this on for a good 20 minutes and in that time i could feel this working its magic on my skin and clearing out those pesky pores. When it came to washing the mask off it washed off really easily and there was no residue left behind at all. My skin felt totally new and could breathe! 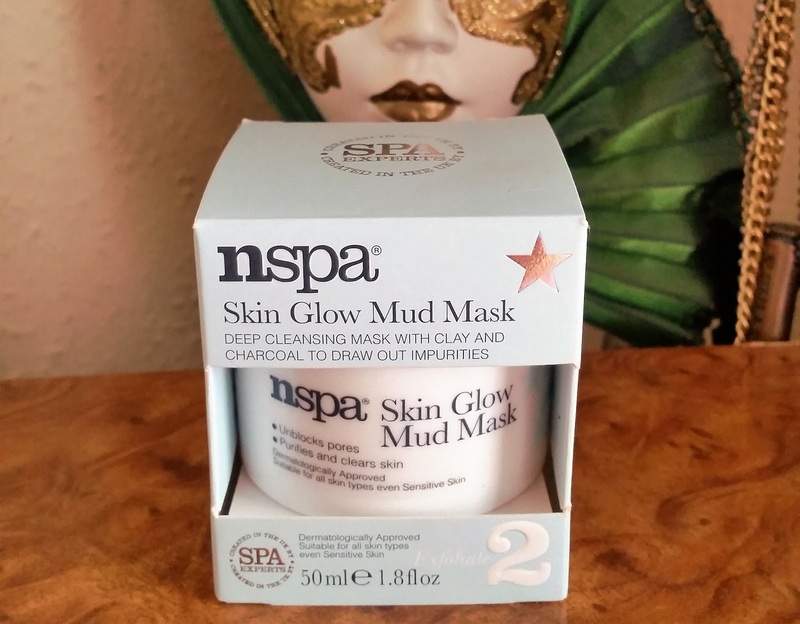 I can see why nspa suggests the skin glow mud mask can be used as a spot treatment as this unblocks pores, purifies and clears skin. Also this is suitable for all skin types, even sensitive! 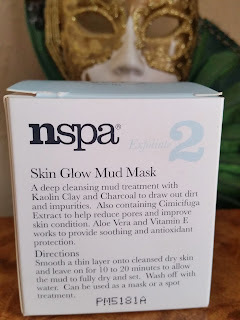 This is such a great mask to fit into anyones schedule throughout the day or evening time. You could use this in the morning to help wake skin up or in the evening to prepare your skin for that all important night cream moisturiser. 22nd of august and reveal your new skin. P.S If your looking for some other great skincare products just click on categories and then skincare from the homepage.